While PM Modi offered condolences to the BJP leader's family and supporters, Dantewada SP Abhishek Pallav revealed that Bheema Mandavi had been advised to not visit the region. Dantewada Maoist Attack: Chief Electoral Officer, Chhattisgarh has taken an immediate Video Conference meeting of collectors and SPs of the affected districts covering Phase 1 and phase 2 in Chhattisgarh and instructed them to take utmost precautions over the next few days. Dantewada Maoist Attack: The polling for Lok Sabha Elections 2019 will go as per the schedule, said EC. Dantewada Maoist Attack: “I spoke to Chhattisgarh CM and expressed my grief over the martyrdom of state police personnel. He has also apprised me of the ground situation in Dantewada, ” says Home Minister Rajnath Singh. 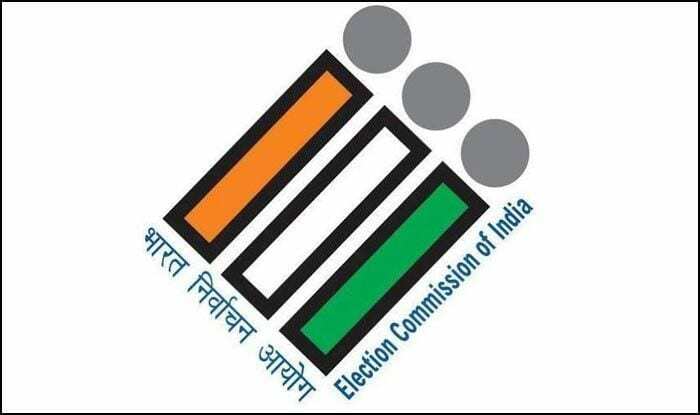 Dantewada Maoist Attack: The polling for Lok Sabha Elections 2019 will go as per the schedule, says Election Commission after the death of BJP MLA Bheema Mandavi, his driver and 3 PSOs in Naxal attack in Dantewada. Dantewada Maoist Attack: The attack in Dantewada, Chhattisgarh is very tragic. I pray to God to give strength and peace to the families of those killed: Rahul Gandhi condoled the death of the BJP MLA and five others who lost their lives in the attack. Dantewada Maoist Attack: Special DG (Anti-Naxal Ops) DM Awasthi on Dantewada Naxal attack: BJP MLA Bheema Mandavi, his driver and 3 PSOs have lost their lives. Bachheli PS Incharge had informed the BJP MLA that adequate security was not present on the route near Kuakonda and that he should not go there. Dantewada: Bharatiya Janata Party (BJP) MLA Bheema Mandavi was killed in a Maoist attack in Chhattisgarh’s Dantewada on Tuesday evening. P Sundar Raj, DIG-Anti-Naxal Ops confirmed the same. “We have information of BJP MLA Bheema Mandavi, his driver and 3 PSOs getting killed in IED blast in Dantewada, today evening. It was a powerful IED blast. Bodies to be evacuated at the earliest for identification,” said P Sundar Raj. Prime Minister Narendra Modi strongly condemned the Maoist attack and offered his condolences. “My tributes to the security personnel who were martyred. The sacrifices of these martyrs will not go in vain,” said PM Modi. Former president Pranab Mukherjee also condemned the attack and expressed grief over the incident. “Shocked and pained at the Naxal attack which took place today in Dantewada, killing 5 people including MLA Shri Bhima Mandavi. Such ghastly and disturbing acts of violence cannot be justified in any manner. My prayers are with the family and friends of the departed souls,” tweeted Mukherjee. Meanwhile, Dantewada Superintendent of Police Abhishek Pallav said that Mandavi was advised by police not to visit the area. Giving details about the attack, Pallav said that firing from both sides continued for half an hour even after the attack. “There were 5 more security personnel in a car following the BJP MLA’s car, we are locating them,” added Pallav. The attack took place at Shyamgiri hills when the BJP MLA’s convoy was heading towards Kuwakonda from Bacheli area. As per reports, seven jawans including a Public Safety Officer (PSO) have also been killed. At least five personnel of Chhattisgarh State Police are critically injured. Meanwhile, reinforcement of CRPF has been rushed. Chhattisgarh Chief Minister Bhupesh Baghel has called a high-level meeting following the attack. Reportedly, the ambush was set up by the Naxals to target the convoy. Dantewada falls in Bastar constituency where polling will be conducted on April 11. Meanwhile, state police and paramilitary forces have intensified anti-Naxal operations ahead of the polls.